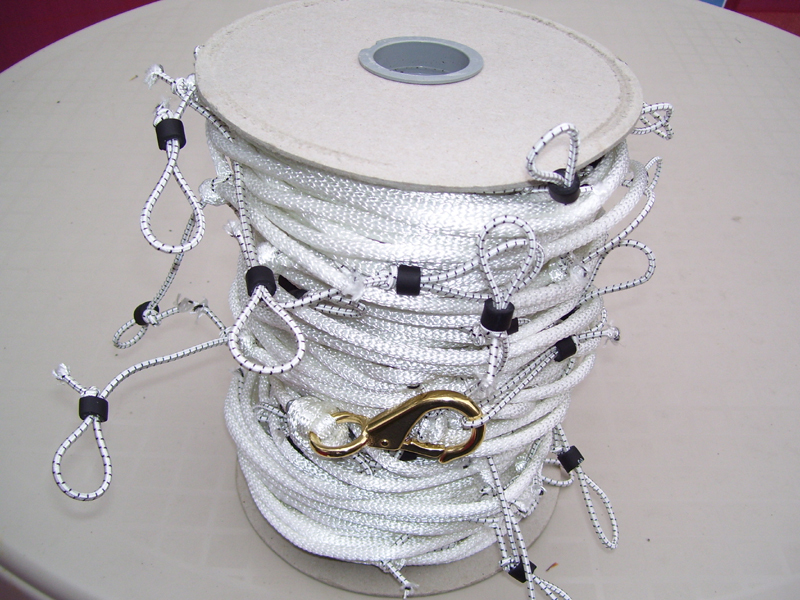 150' snooded sinking trotline w/ 25 snoods attached, 6' spacing. Legal in Virginia, 300'L is the maximum allowed in VA for recreational crabbers. 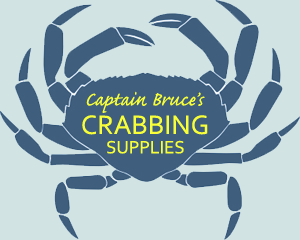 Now recreational crabbers in VA can crab "Maryland Style." Search YouTube for videos on how to use a trot line (or snood line) and take some friends out crabbing and have some fun! And for the MD crabbers, this length is the perfect size for use in small creeks. 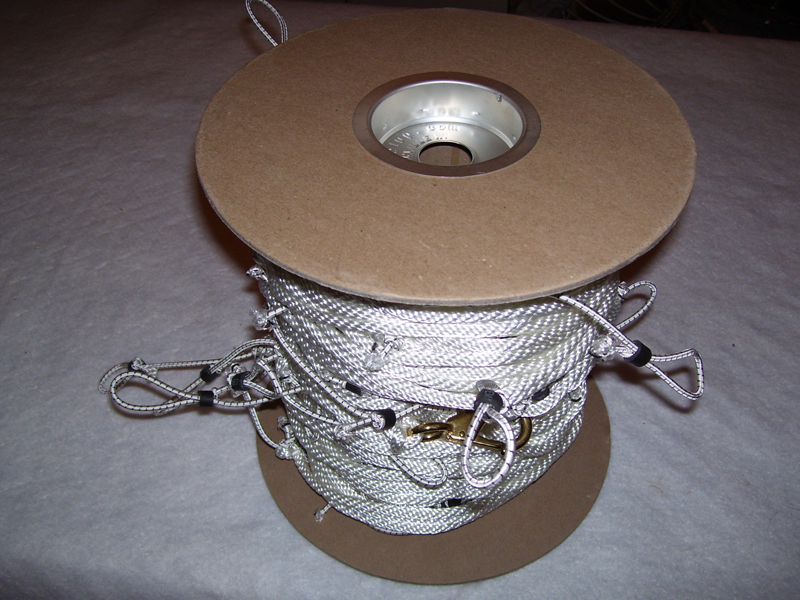 They can be crabbed singularly or hook 4 together to make the 1200' maximum length allowed in MD waters. 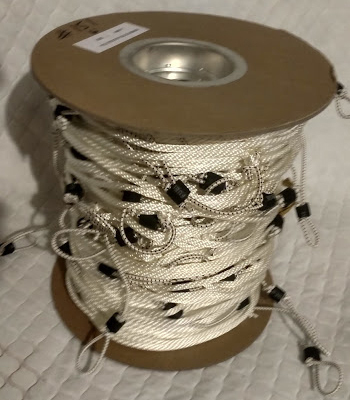 This is also a great crabbing option because it allows you bait 300 ft at a time (instead of baiting all 1200 feet) The main line is made from sinking crab line with snood spacing every 6'. That's approx. 50 baits on a single 300' line. 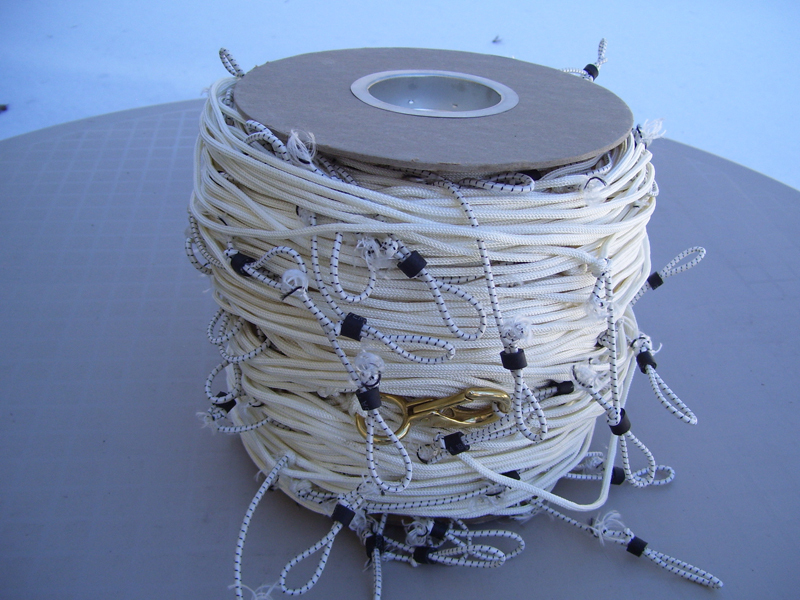 Snoods are made out of 1/8" shock cord x 6" L.